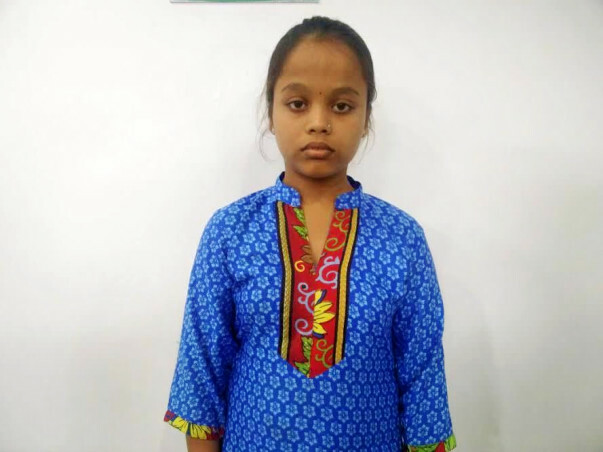 14-year-old Grishma is suffering from a condition called Hydrocephalus in which the cerebrospinal fluid protecting the brain has accumulated in the cavities deep within the brain., creating immense pressure on the brain chambers. She needs to undergo a surgery immediately to get rid of an excruciating headache she is suffering from. Her father, Nandakumar, is a tempo driver and her mother, Harshala, is a homemaker. The family is caught up in a difficult situation without having funds to perform the surgery. Grishma has been suffering from this condition for long. It was only when she was old enough to express the pain she felt in her head, her parents understood that all the discomfort she expressed as a baby was due to recurring headaches and pain. But the family did not expect that she will be suffering from a such a condition. She was untreated all these years. 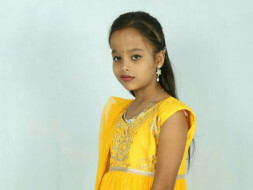 It was when she started experience intolerable pain, a few months ago that the parents took her to a hospital in Thane. Doctors recommended a surgery to release the fluid from the brain. But the estimated cost for the surgery was far beyond what Nandakumar could manage. Also, there was no advanced facility to perform the surgery. 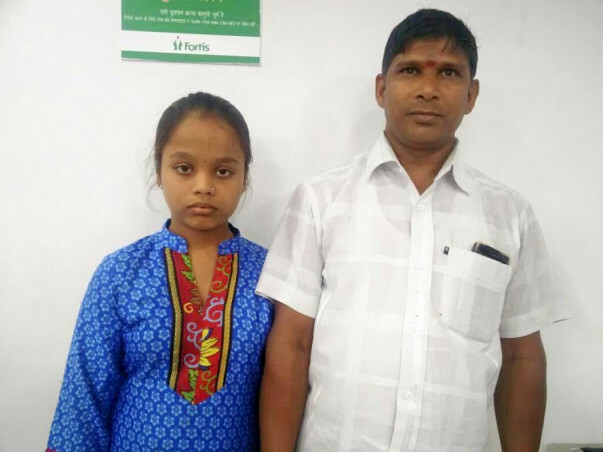 She was referred to Fortis Hospital, Mumbai for the surgery. Her doctor at Fortis recommended that she undergoes the surgery immediately. In such a short notice, Nandakumar is unable to arrange for financial support. Grishma is experiencing excruciating pain and is on pain killers. Her parents have not informed her about the surgery in the fear that she would panic and this will increase her pain. 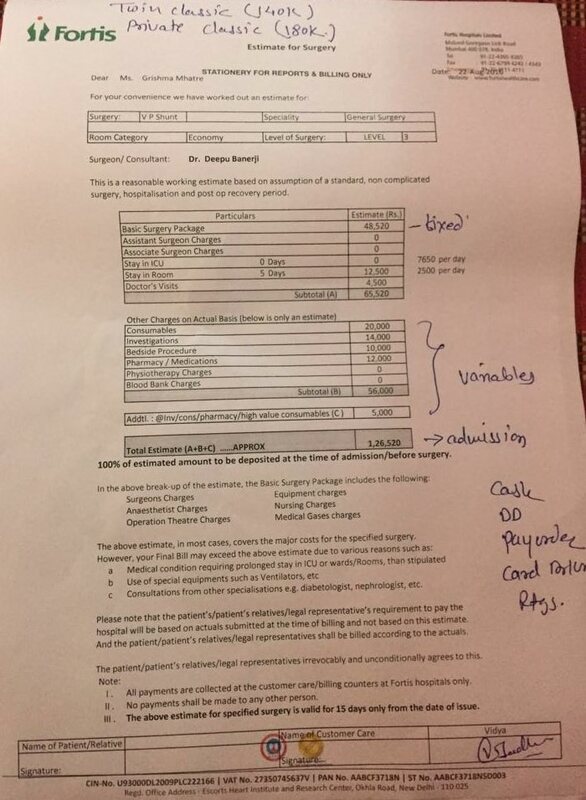 Grishma will get admitted to the hospital soon. She needs to undergo the surgery immediately. Our support will ensure she undergoes the surgery as planned. As every minute passes, her pain becomes more intense and intolerable. This is her last chance to become free from the pain that affected her childhood. We take immense pleasure in informing all of you that Grishma's surgery was successful and she is doing extremely well. After a few days of post op, Grishama is now discharged. A heartfelt thanks to all who donated, shared, helped in any way. We will be posting pictures or a video of Grishma soon. Thank you for taking this #1SmallStep towards saving a beautiful soul.